An unusual twist in the former Prentice Women&apos;s Hospital saga: A city department could likely find itself arguing for — and then against — preservation of the cloverleaf-shaped structure during Thursday&apos;s meeting of the Commission on Chicago Landmarks. 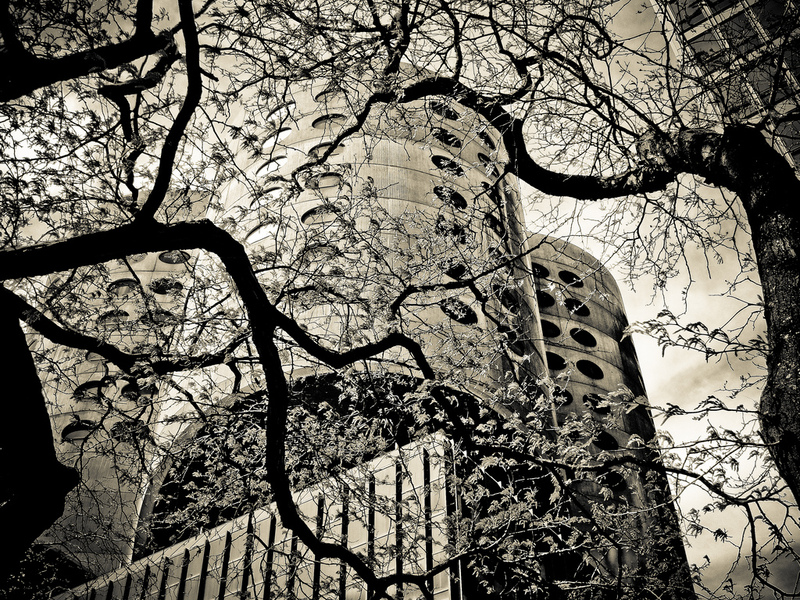 According to a draft agenda of the meeting, staffers from the landmarks division of the Department of Housing and Economic Development are scheduled to ask the commission to pass a resolution granting preliminary landmark status to the Bertrand Goldberg-designed former hospital. But if the resolution passes, the department&apos;s commissioner Andrew J. Mooney — an ex-officio member of the commission — would then submit a report arguing against the designation, essentially asking the body to undo his own agency&apos;s recommendation. "...Northwestern University should be allowed to pursue its long-term plan for a medical research facility on the site of the former Prentice Hospital," Mooney wrote in the conclusion of the report. "As a result, the Department cannot recommend landmark designation of the former Prentice Hospital and further recommends that the commission reject or rescind a preliminary designation, as appropriate." A department spokesperson and others in City Hall declined to comment on the approach. A member of the city&apos;s architectural community, who did not want to be named, criticized the move but called it "fiendishly clever, in a way. It gives Prentice its day in court while ultimately giving Northwestern what it wants." The commission&apos;s agenda, a beautifully-done designation report on Prentice, Mooney&apos;s rebuttal and a draft resolution citing the provision of the municipal code that would allow the preliminary designation to be rescinded or rejected can all be found here. The move comes on the heels of an opinion piece by Mayor Rahm Emanuel that appeared Tuesday on the website of the Chicago Tribune in support of the $1 billion facility Northwestern seeks to build on Prentice&apos;s site, 333 E. Superior. "It is clear that the current building cannot accommodate the groundbreaking research facility that Northwestern needs to build, and I support the decision to rebuild on the site," Emanuel wrote. The landmarks commission could still vote to grant the designation, but such a move would seem unlikely given Mooney, Emanuel and Ald. Brendan Reilly (42nd) — the former hospital is in his ward — support Northwestern&apos;s plan. A group of preservation organizations called the Save Prentice Coalition had attempted for months to get the commission to put the hospital on its agenda for landmark consideration. Members of the organization were not available for comment late Tuesday. However, the group released a statement on its Facebook page saying the city&apos;s landmarks ordinance "clearly and unambiguously" states the commission can only consider historic and architectural criteria in its deliberations. "A building is required to meet only two of the [seven required] landmark criteria," the group said. "Historic Prentice meets four: it is an important part of Chicago&apos;s history; it represents important architecture; it was designed by an important architect; and it is unique and distinctive in its physical appearance." The landmarks commission&apos;s meeting begins Thursday at 12:45 p.m. in room 201-A of City Hall.